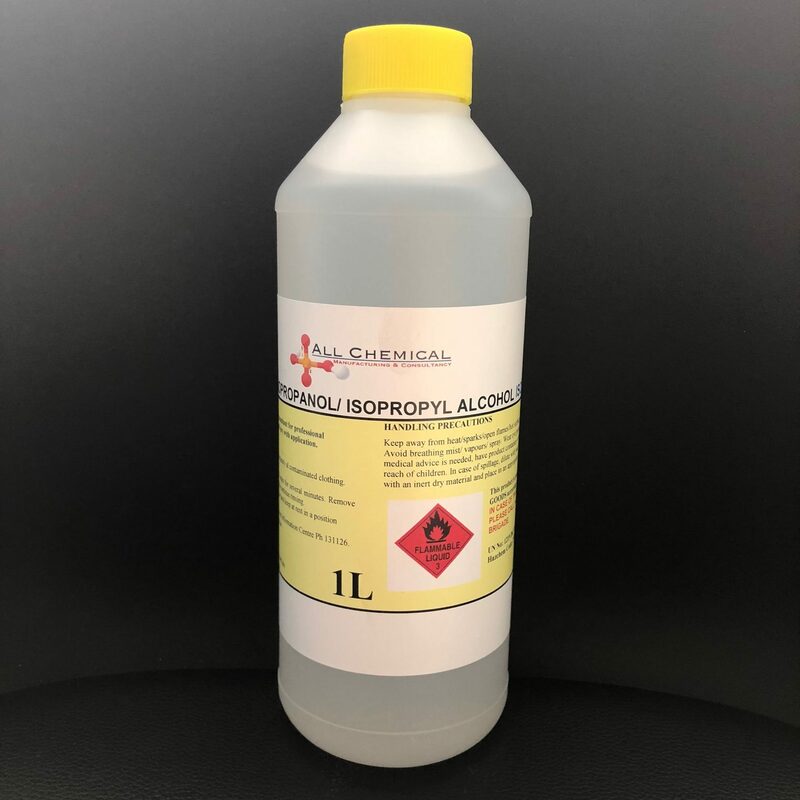 Isopropyl alcohol (also known as Isopropanol or IPA) is a compound with the chemical formula C3H8O. It is a colourless, flammable chemical compound with a strong odour, suitable for industrial cleaning and formulating where a waterless environment is desired. It is used in the manufacture of a wide variety of industrial and household chemicals and is a common ingredient in chemicals such as antiseptics, disinfectants and detergents. Other applications include dentist, 3D machine cleaning and sterilization of plant pots.